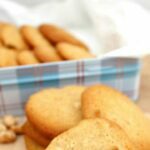 Grandma's War Time Peanut Drop Cookies is an amazing vintage cookie recipe and still extremely popular today! Great for parties and holidays or just simply with a nice cool glass of milk or cup of coffee! 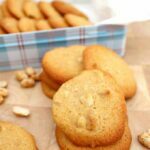 Grandma’s War Time Peanut Drop Cookies is an amazing vintage cookie recipe and still extremely popular today! Great for parties and holidays or just simply with a nice cool glass of milk or cup of coffee! 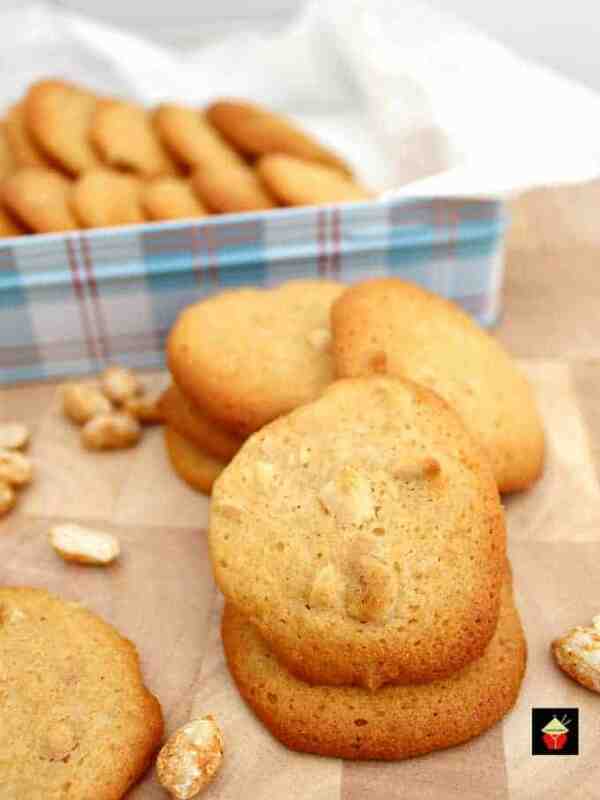 Grandma’s War Time Peanut Drop Cookies! Oh boy! Doesn’t everyone love grandma’s cooking? This recipe certainly won’t disappoint. It’s certainly a very old family recipe and one my grandmother made often during the 1940’s when there was a World War and food rationing was in force. That meant everyone was only allowed a certain allowance of various ingredients, such as sugar, meat and so on. This food rationing led to families and in particular, the cook… that would most likely be mom, having to be very creative and inventive with ingredients so that she could feed her family. Of course, having sweet treats was really a treat. Sugar was heavily rationed, as was butter. 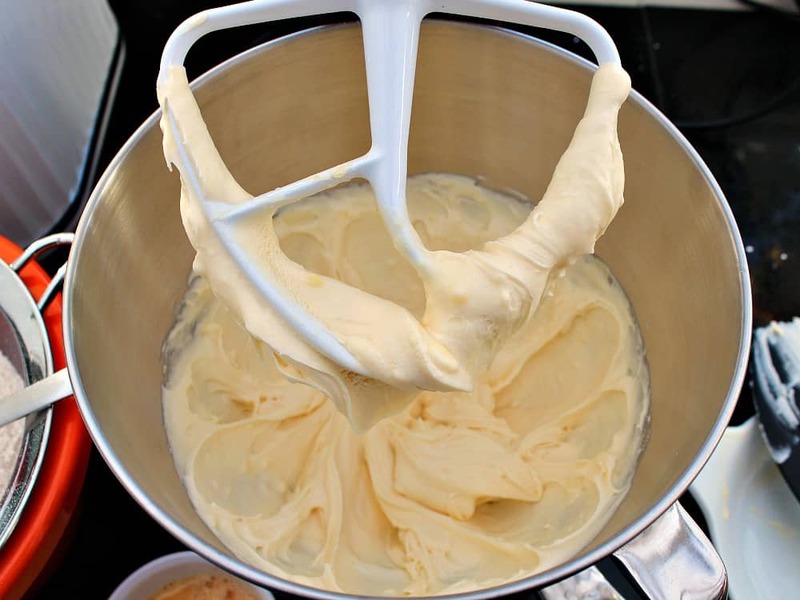 (The original recipe calls for lard, but here, I have used butter in the ingredients as it is easier to buy for most people). So, my grandmother came up with using honey as a substitute for sugar so she could make these Grandma’s War Time Peanut Drop Cookies. My father told me that when his mother would make these, he and his 9 other brothers and sisters would swarm the kitchen and they would be eaten faster than my grandma could place them on the cooling rack. Well…. 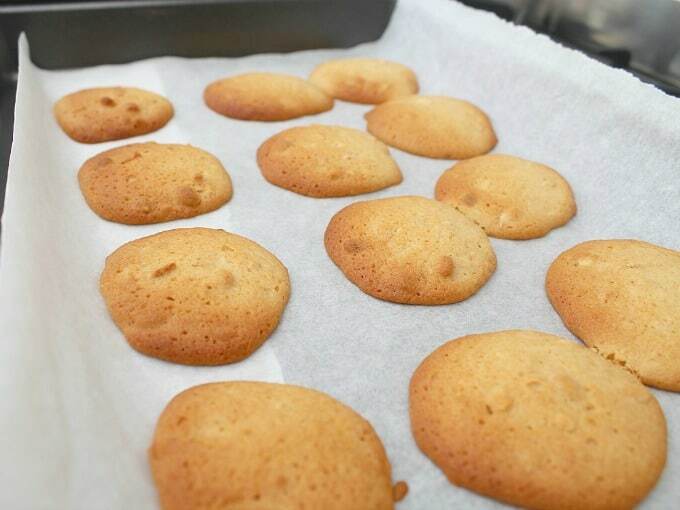 I don’t think any of these peanut drop cookies even made it on to the cooling rack! 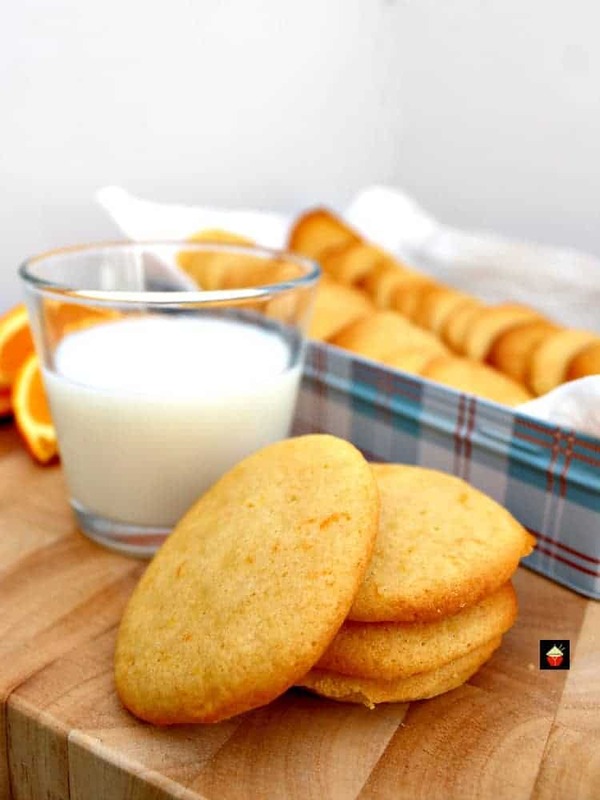 My grandma made a few different cookie recipes, another being her popular Grandma’s War Time Orange Drop Cookies. 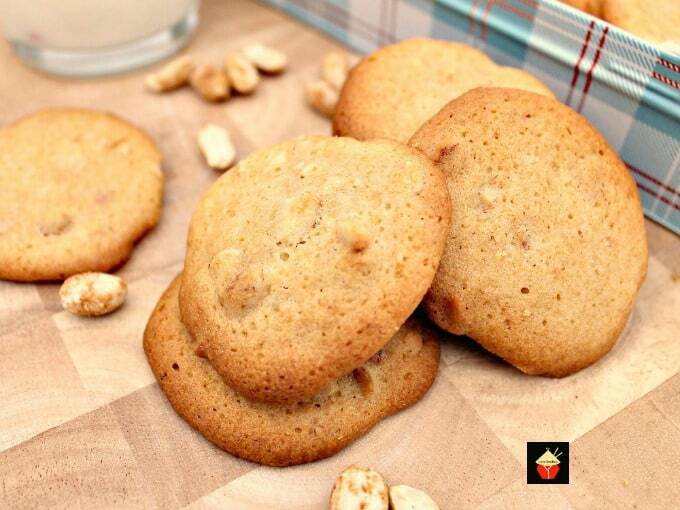 These Peanut Drop Cookies are soft and chewy, so don’t go expecting a crunchy hard cookie because they are SOFT! 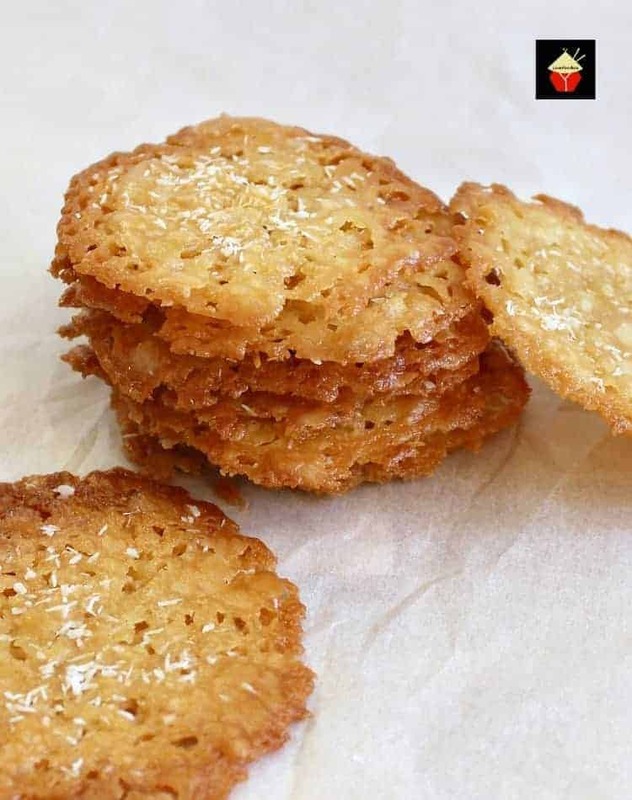 They go great with a cold glass of milk or a nice cup of tea, and the young ones love these too, especially as they’re a softer cookie. If you’re worried about the nuts for the kiddies, then feel free to leave them out, or perhaps make up a batch and divide so half is with and half is without the peanuts! I’ve also swapped the peanuts for sultanas, dried cranberries and chocolate chips, so don’t be frightened to experiment and swap out the nuts for something else or make up a few different type cookies using the same batch of cookie dough. 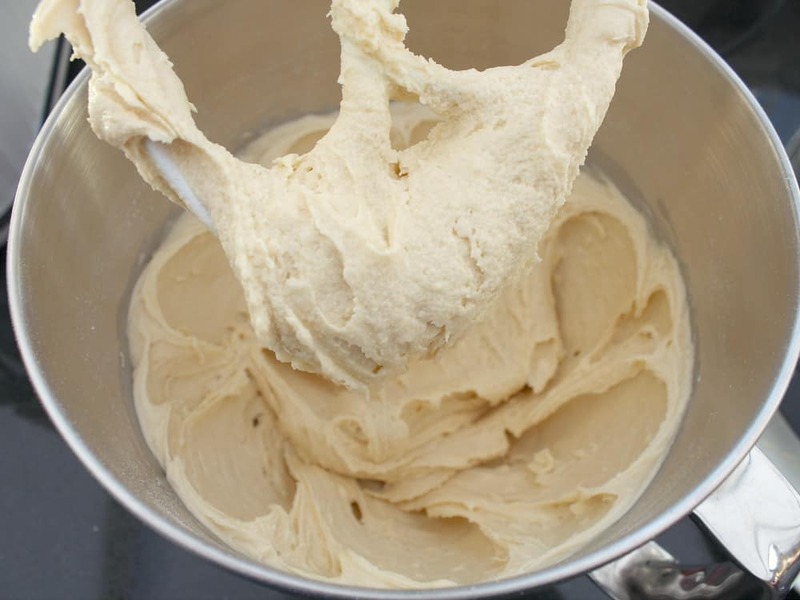 This recipe will give you about 4 dozen cookies, so there’s plenty of dough for you to divide it up and switch the flavors a little if you wish! 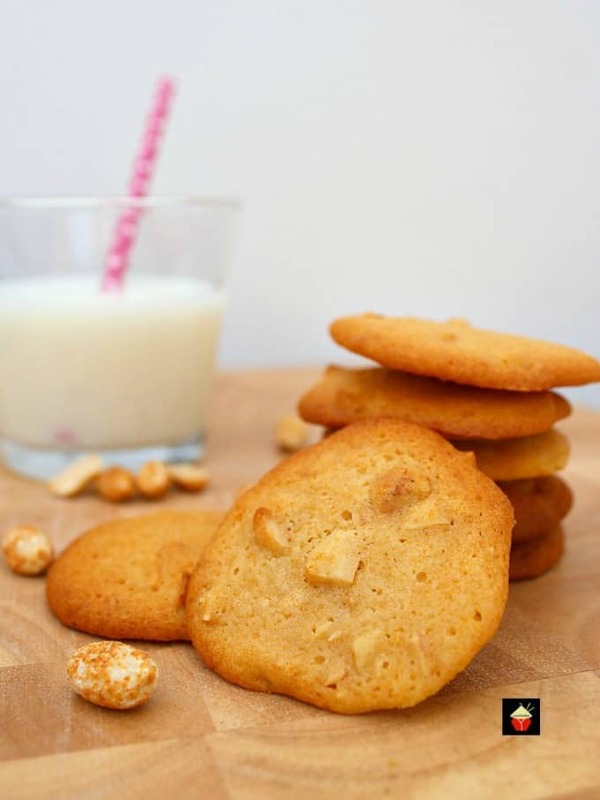 Thanks to Grandma and her war time creativity, we have these delicious peanut drop cookies and a huge variety of possibilities for you to be flexible with the nut ingredient too! This month’s recipe challenge Lovefoodies takes part in with a handful of other bloggers is themed ‘Grandma’s Recipes’. 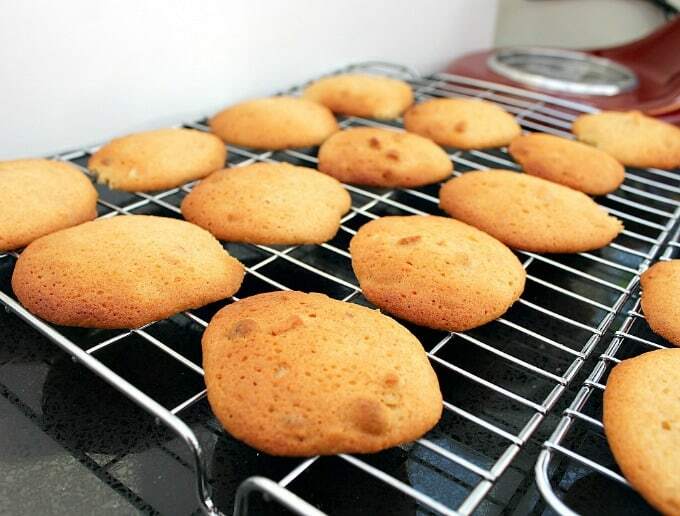 So at the end of Grandma’s War Time Peanut Drop Cookie recipe, you’ll see some other lovely recipes from our blogger friends and they have shared recipes handed down to them too. 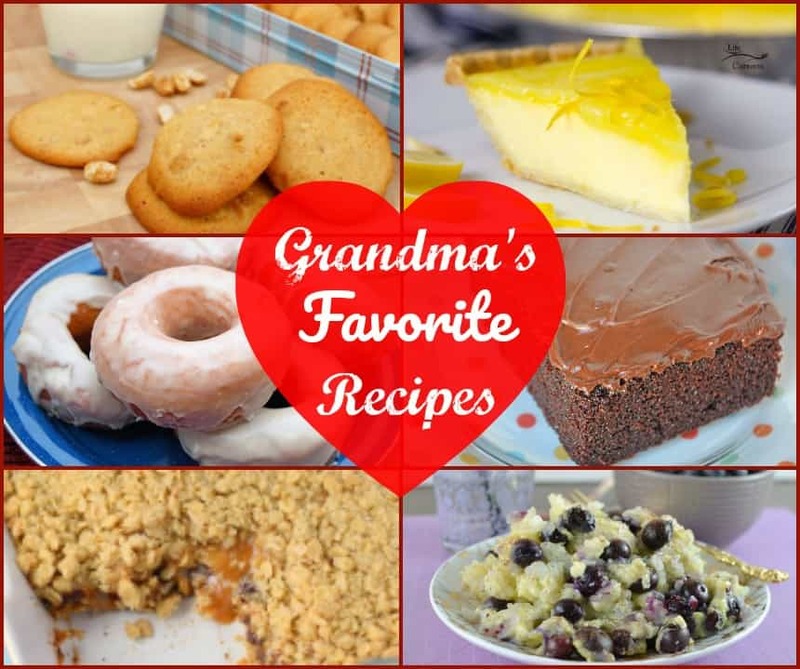 If you’re a fan of vintage or grandma recipes then you will love these! Hopefully some of them will take you down memory lane too. That’s always a lovely thing! So let’s get right to the recipe and see how we can get these in our tummy’s asap! Please enjoy my Grandma’s War Time Peanut Drop Cookies. 1. Preheat oven to 350 F or 180 C. Have all your ingredients measured and weighed out ready. 2. 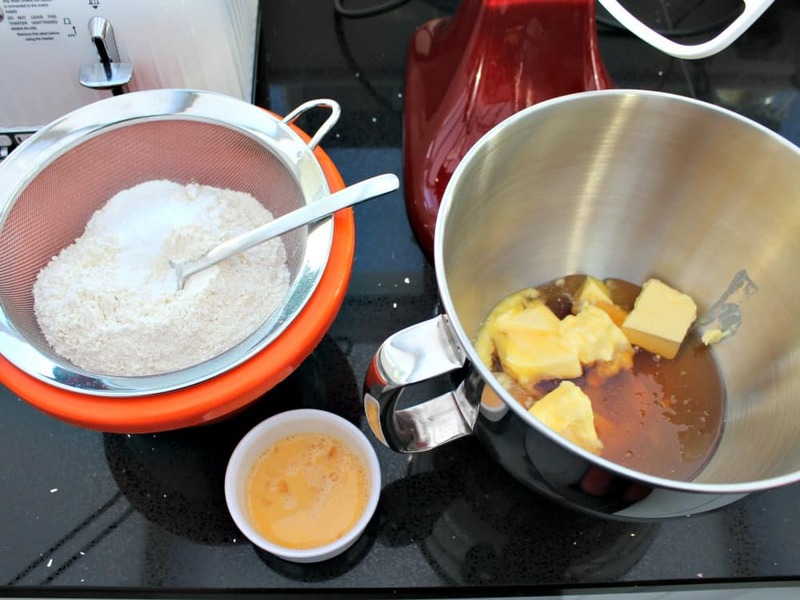 Mix together the butter and honey and vanilla extract. Then add beaten egg. 3. Sift the flour, baking powder, and salt, then add to the syrup mixture and fold in chopped peanuts until completely combined. Ahhhhh! Grab a cold glass of milk! 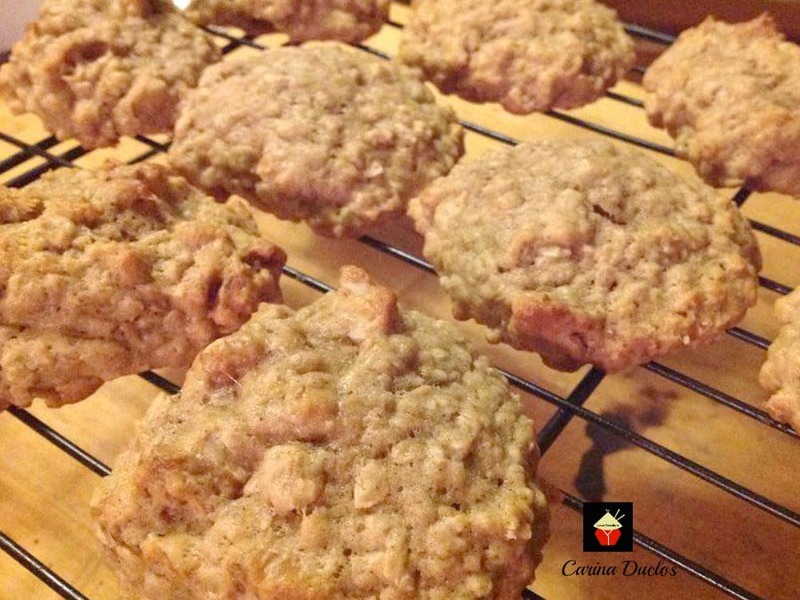 Here’s a few more great cookie recipes for you to enjoy! Preheat oven to 350 F or 180 C. Have all your ingredients measured and weighed out ready. 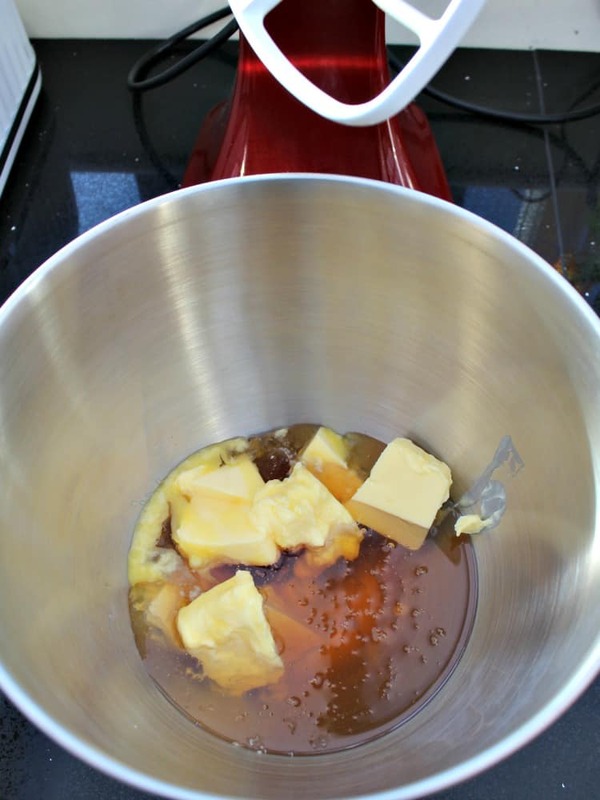 Mix together the butter and honey and vanilla extract. Then add beaten egg. 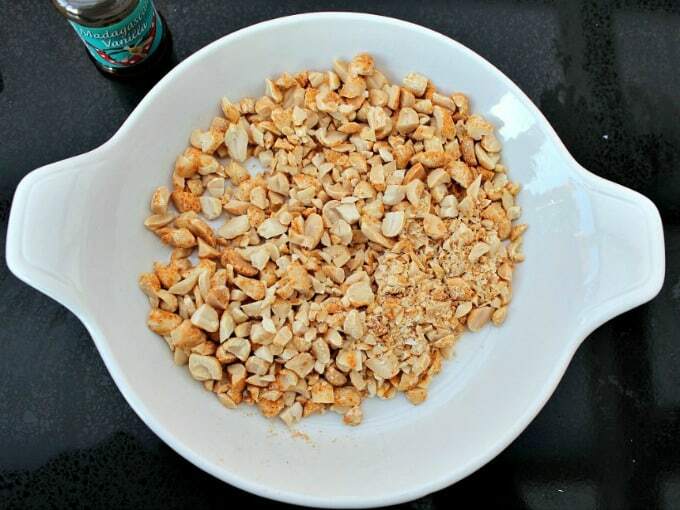 Sift the flour, baking powder, and salt, then add to the syrup mixture and fold in chopped peanuts until completely combined. 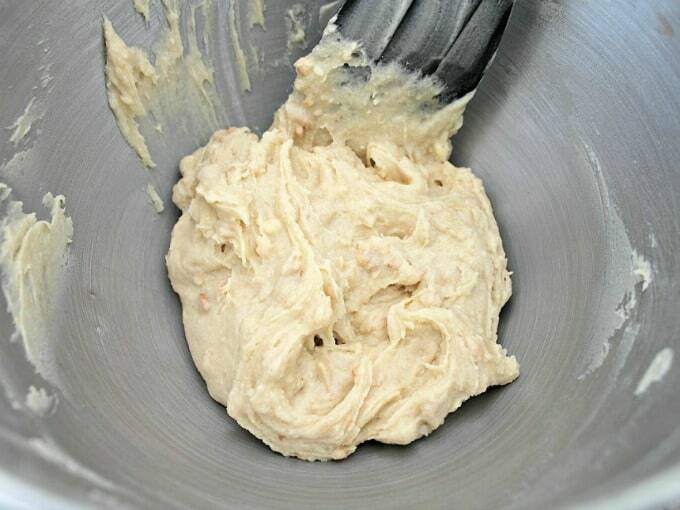 Drop the batter in teaspoonfuls on a greased baking tray and bake for about 8 - 10 minutes. (I didn't grease my baking tray, I just used parchment paper to line. I have to give these a try! Love all those peanuts! These cookies make my mouth water, I absolutely know they’ll be a hit with my family! 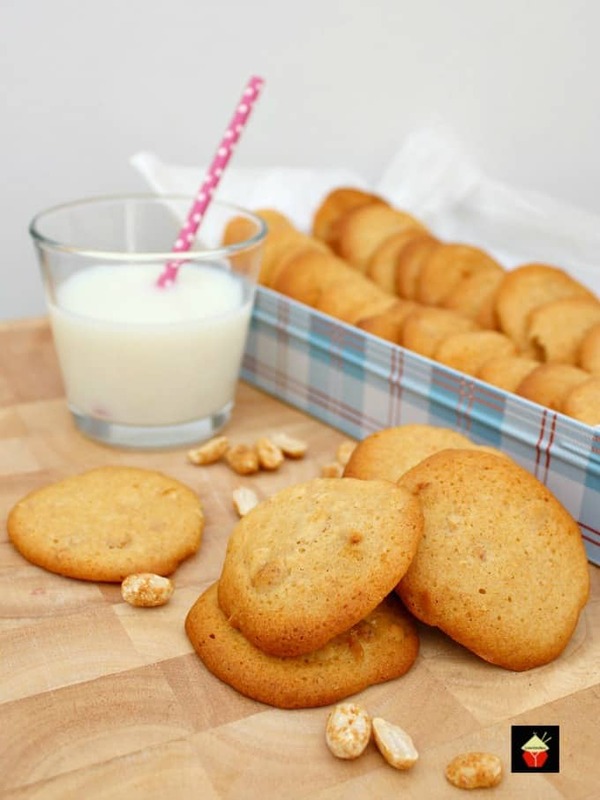 I love the idea of peanut cookies! Like a sugar cookie with added yumminess! These look fantastic! 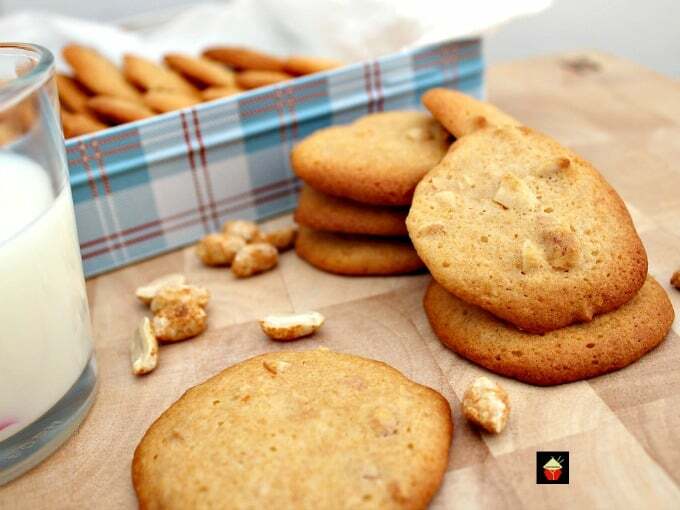 Honey, butter and peanuts- how can you go wrong? These look delicious! 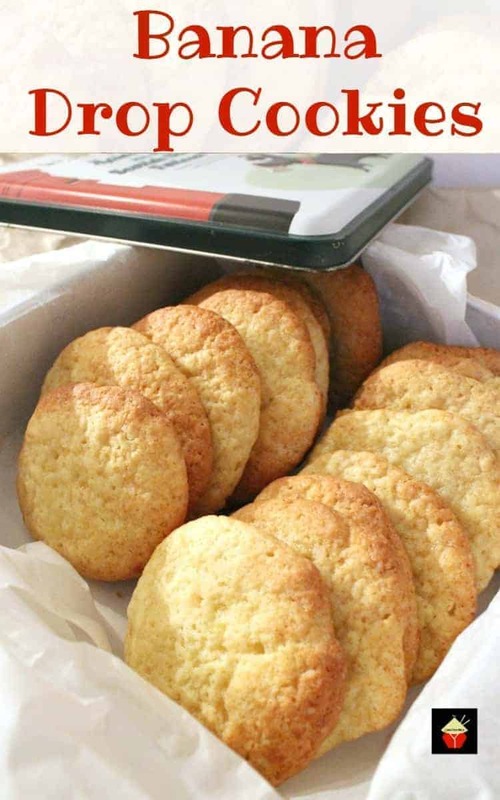 Cookies are always a beloved dessert in our home and your recipe for Grandma’s War Time Peanut Drop Cookies will be a great addition to our cookie recipe collection!!! 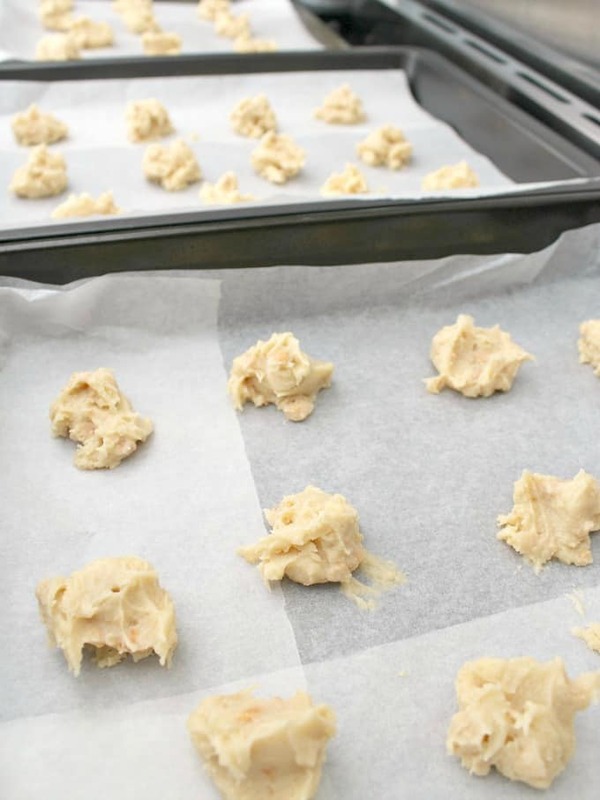 Cookies are always a beloved dessert in our home and your recipe for Grandma’s War Time Peanut Drop Cookies will be a great addition to our cookie recipe collection!